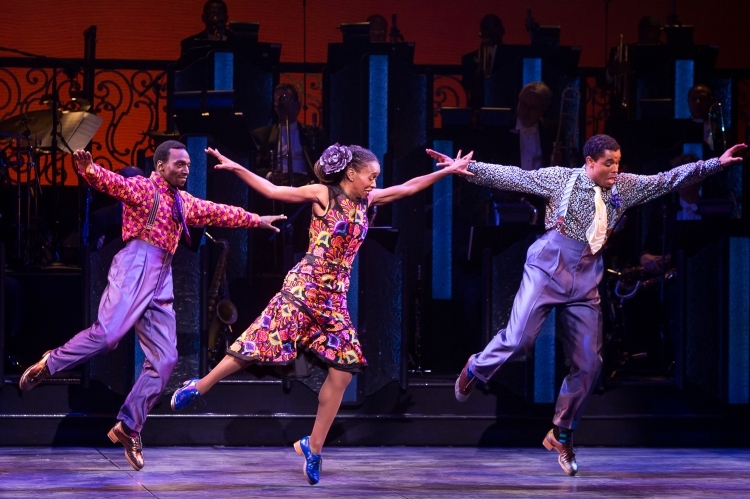 Smoking hot 1920s-Harlem revue After Midnight blows the top off the Brooks Atkinson Theatre with a fiercely talented troupe of dancer/singers backed by a glorious gallery of true jazz musicians. 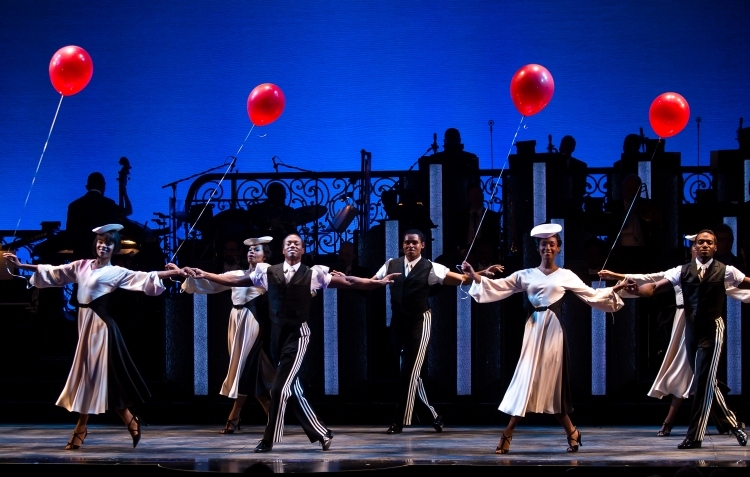 At only 90 minutes, yet fitting in enough song and dance to fill at least three regular musicals, the show is pure, slick, old-fashioned entertainment. A true revue, there is no storyline to speak of, but the immersive theme and carefully curated acts easily maintain audience engagement throughout. We are truly transported back to a different time, when the only feature more obvious than the talent of the performers was the joy they were experiencing from being on stage. Broadway veteran Adriane Lenox (Kiss Me, Kate, Doubt) is sassy, but well clear of caricature, in character numbers such as “Women Be Wise.” Dulé Hill (The West Wing) smoothly holds the show together as an emcee of sorts, demonstrating further talents by joining in some of the musical numbers. Karine Plantadit exudes infectious joy in a range of numbers for an ingénue performer. Warren Carlyle’s choreography feautures one eye-popping treat after another. Storytelling is so clear in some numbers that it easy to completely miss the fact that they are instrumental only. Standing out among the male dancers are the super-flexible and cheekily expressive Julius “iGlide” Chisolm and Virgil “Lil’ O” Gadson. Initially seeming to be a simple one-set show with the band on stage, the design provides as many varied incarnations of set elements and lights as there are songs. Isabel Toledo’s costumes are nothing short of spectacular, adding significantly to the viewing pleasure. Setting off all the sensational dance and song is the incredible band, which is thankfully given multiple moments to shine, both as a group and as a set of soloists. 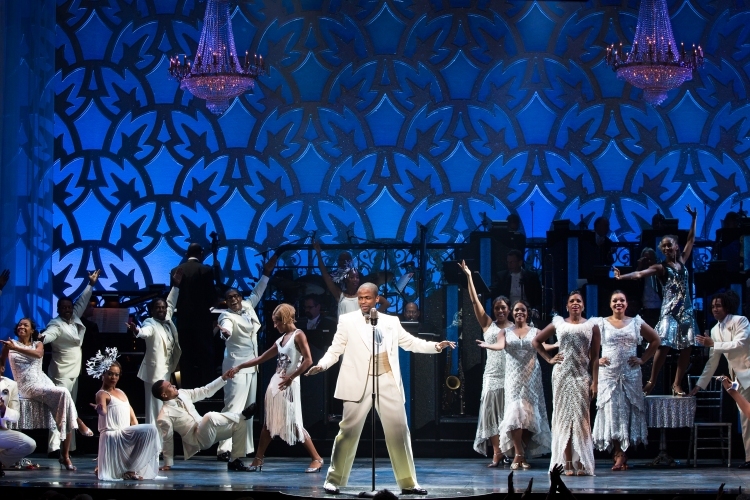 The band is aptly billed as “The Jazz at Lincoln Center All –Stars,” with musical direction by Wynton Marsalis. After Midnight may end with the first play-out in Broadway history where not a single audience member moves from their seat. 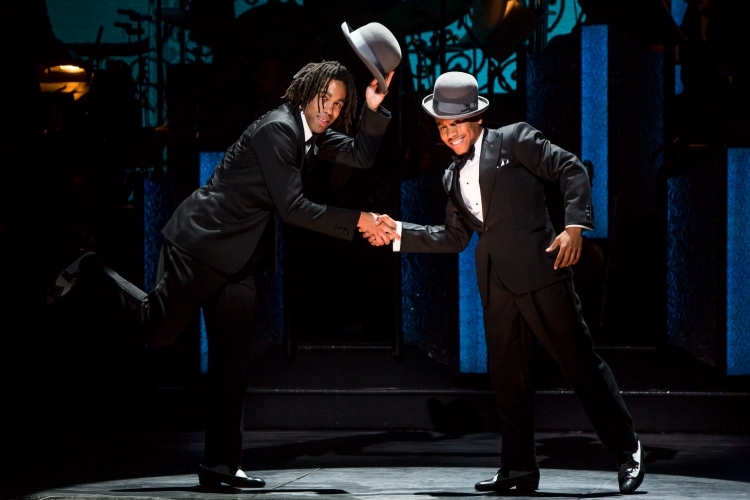 After Midnight was reviewed 8pm Saturday 5 April 2014 at Brooks Atkinson Theatre, New York. 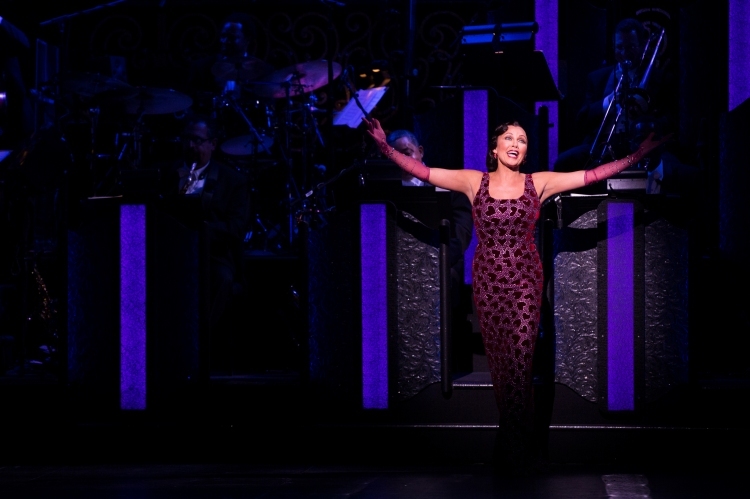 Vanessa Williams performs in After Midnight to 11 May 2014. Hi Mark, thanks for the glorious daytime weather here! Straight off the plane and into After Midnight. Good revues helped my selection of this, but mostly I saw it on the first night because it is one of the very shortest shows of the current crop! Now I’m two reviews behind so I better get cracking to try to stay up to date. Meanwhile, hope you have a chance to see those three new cinema releases this week!